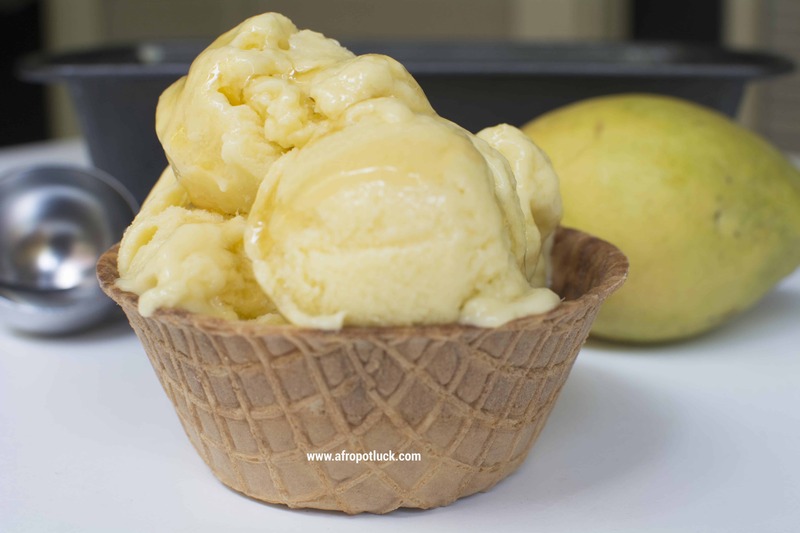 This creamy Mango Coconut Ice cream is a very healthy recipe that will quench your thirst for the store bought Ice cream. You can serve it immediately or pour it in a freezer safe container, cover it up and freeze it for about 3 to 4 hours. Leave it to thaw for a few minutes, (see note) serve and enjoy. Sweet ripe Mangoes works best for this recipe and It’s good to go the ones with the bright yellow skin. If you choose to leave it for more than 3 hours, it might take a little longer for it to thaw (about 15 to 20 minutes) depending on how long it stayed in the freezer.